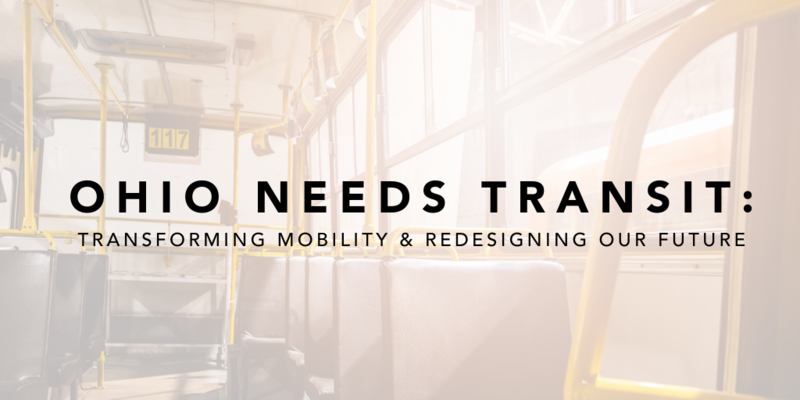 Transforming Mobility and Redesigning Our Future was the theme of this year’s Ohio Needs Transit conference. The annual conference is run by the Ohio Public Transit Association (OPTA), and focused on the rapidly developing technology that is directly impacting transportation systems in Ohio and beyond. Ohioans, vendors, and national transit enthusiasts shattered the attendance record with over 500 attendees and 80 vendors participating in 55 educational sessions. Over the course of three days, these passionate individuals discussed mobility problems, solutions, existing projects, and future endeavors. Conference attendees tackled big issues head-on through speaking sessions, presentations, and inclusive activities for conference goers. Initiatives including DriveOhio; transit agency mobility pilots at Stark Area Regional Transit Authority (SARTA), Butler County Regional Transit Authority, and Western Reserve Transit Authority; and partnerships with technology providers demonstrated the ways operators are taking daily strides to enhance their services with new and innovative technologies. The passion for solving national mobility issues at a local level was palpable throughout the event. Below are four lessons that Ohio is nurturing in its quest to improve public transportation in its state (and why your state should care, too). Agencies are taking the necessary steps to lead and facilitate the different ways in which their communities move. They are thinking beyond traditional forms of public transportation, including exploring microtransit, bike-sharing, and TNC partnerships. The new zeitgeist in town is mobility agencies, not transit agencies. The human desire to move around freely and independently does not discriminate, and neither should the way we design our communities. It was heartening to see so many sessions emphasize the importance of better serving the elderly and disabled. Each session highlighted how important it is to have a service accessible to digital natives, non-natives, and the unbanked alike. During the Connected Mobility session, we learned that employers are no longer moving into the region because the cost of land is cheap. At a time when unemployment has dipped to its lowest percentage in two decades, employers worry less about where they have space for their facilities and more about where they have access to a workforce. Nationally, there is a struggle to provide reliable transit service for shift workers, and Ohio is no different. Today’s agencies are getting creative and innovative to solve this issue. Partnerships between employers and local transit agencies are vital to supporting economic growth. In TransLoc’s session Microtransit: Bridging the Gap, we discussed how SARTA is exploring a microtransit service to solve this exact issue in Stark County, Ohio. The economic impact of a robust transit system extends beyond job security for riders and drivers. An economic impact analysis led by Cleveland State University and the Greater Cleveland Regional Transit Authority found that the agency’s annual spending in 2017 created 3,000 jobs and $208M in labor income, which generated $14M in state and local taxes. The transit agency became the economic engine that drove the revitalization of the entire downtown Euclid Avenue corridor, resulting in new apartment complexes and businesses. OPTA made it clear that while Ohio faces many of the same transit problems as the rest of the nation, its approach is brazenly modern and innovative. We should hope that the saying holds true: As goes Ohio, so goes the nation. Did you attend the OPTA Conference? What key takeaways stood out to you? Share your insights in the comments below.